The fact that every frame of Loving Vincent was oil-painted, in a process that took six years, would be remarkable enough in itself. But painted to look exactly like the work of Vincent van Gogh? That’s something else. Corn fields shimmer and rustle with slight flickers of the impasto. The night sky sparkles and swirls. And faces – even the recognisable ones of a noted British cast – pose for a set of portraits that are rarely short of captivating. The directors are British animator Hugh Welchman and his wife Dorota Kobiela, a Polish-born artist. They worked with 125 artists to paint the film’s 65,000 individual frames, inspired in each sequence by specific van Gogh paintings. Footage was shot of the cast playing out scenes on rudimentary sets, then this was projected on to canvases, frame by frame, and painted over. The visual effect is overwhelming, a luxurious immersion in the palette and environment of a celebrated artist. The script is somewhat more down-to-earth, with the occasional feel of a biographical walk-through that you might hear acted out on a museum tour. Van Gogh himself is the mystery at the bottom of it, rather than the central figure. It’s set a year after his death, with family friend Armand Roulin (Douglas Booth), who has been sent by his father (Chris O’Dowd) to deliver a letter to Vincent’s brother Theo, trying to puzzle out the artist’s state of mind when he died. Addressed is the theory that van Gogh may not have taken his own life, but been shot by a disturbed teenage boy. As biopics go, it’s psychologically rudimentary: the flashbacks to friendships Vincent experienced, which switch to sharper, more contrasty black and white, are academically parcelled out and don’t hold many surprises. Instead, it’s all about surrendering yourself to the textures of scenes – the tinkling of cups in a tea-room, the sounds of bickering in a bar. Clint Mansell’s elegantly mournful score does an important job in knitting it all together into a flowing piece of embroidery you want to stay with. 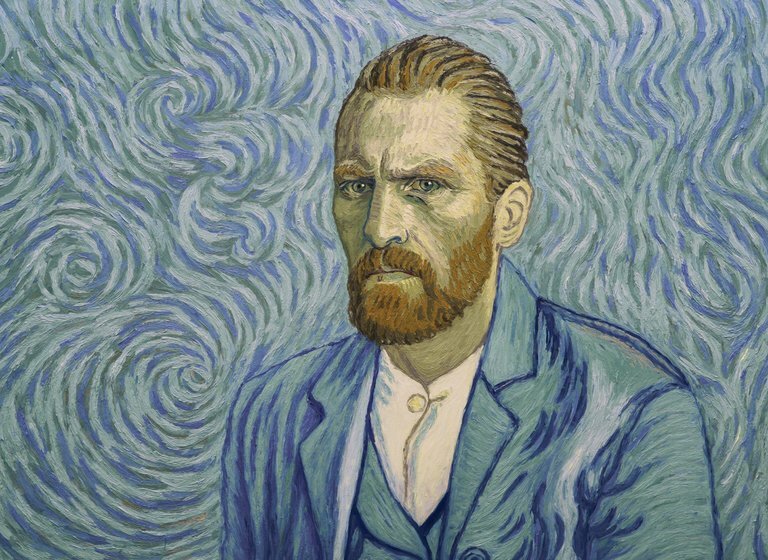 And the novelty of seeing Saoirse Ronan’s face, and Helen McCrory’s, and Aidan Turner’s, converted into moving-image portraits by these disciples of van Gogh’s style, remains considerable to the end. To be fair, the film perhaps runs into the mere bad luck that cinema has done pretty well by van Gogh in the past: especially the two wonderful creations by Vincente Minnelli (1956’s Lust for Life) and Maurice Pialat (1991’s Van Gogh), not to mention an Altman one, and so on. A further forthcoming biopic, starring Willem Dafoe and directed by Julian Schnabel, will adopt a first-person point of view. One thing’s for sure: a curio it may be, and skimpy on the human element, but Loving Vincent certainly doesn’t skimp on the beauty or the brushstrokes. Not everything about this film is perfect; one segment sags a little, and seems to gasp for air. But details keep the movie moving, and then it fully revives to do what great films sometimes have to do -- simply break our hearts.